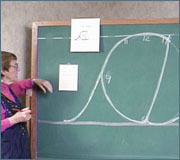 This video takes the viewer through a step-by-step process for teaching the Neurokinesthetic Approach to Handwriting. 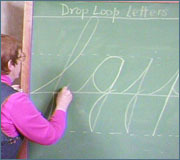 Teaching instructions and performance for each unique group of letters is demonstrated. 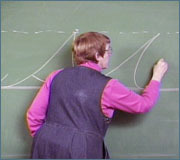 Practice activities, kinesthetic processess, and visualization of performance is clearly discussed and demonstrated.